BSc, MRSS, Dip. Psychotherapy, UKCP Reg. 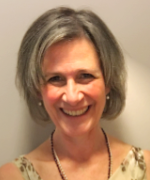 Carolyn is an Integrative Therapist having trained at the Minster Centre in London. She has been UKCP Accredited and Registered since 2002. She has been supervising other counsellors since 2004 after studying and becoming a Supervisor initially with Cruse Bereavement Care Scotland. She has worked for Rowan since 2004 and in private practice since 2000. Having worked with many EAP organisations, she has great experience of many areas of people's difficulties and helping in a short term capacity in limited sessions. She volunteered for CRUSE Bereavement Service from 2001 until 2012. This shows her particular interest and experience in working with loss in all its guises. As part of Carolyn's training, she worked in a tertiary care day centre in the NHS. This gave her vast experience in working with adult survivors of sexual abuse and adults with mental illness, including depression and anxiety. Carolyn combines psychodynamic and humanistic styles of counselling, which would include person-centred, solution-focused, CBT and other approaches, depending on what feels most appropriate to the individual client needs. Her experience is both in short-term, focussed work and in open-ended long-term work. She enjoys counselling because of the relationship it creates between herself and the client. "In a safe space, when a client feels heard, understood, and supported, I find they move towards self understanding, acceptance and awareness, and thereby feel they have more choice."